Happy Wanderer Blue/Purple form. Hardenbegia violacea. Evergreen popular native climber. 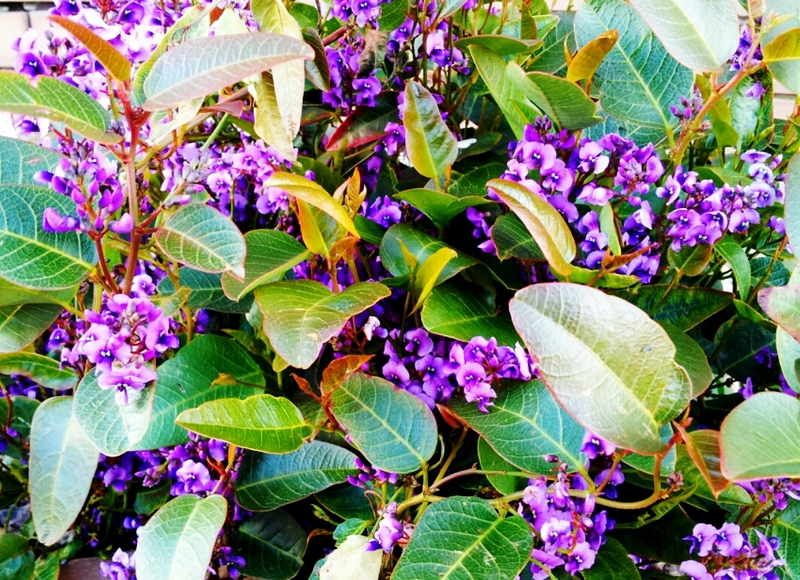 It has glossy green foliage, and the flowers are a rich violet-mauve in colour. With its vigorous climbing habit it is a useful plant for covering pergolas trellises and fences or used as a spreading ground cover. Will scramble and mound rather than climb for any great distance. Flowers are borne profusely from winter to early spring. Prefers a full sun to part shade position. Our prices include secure plant packaging, parcel tracking and GST.